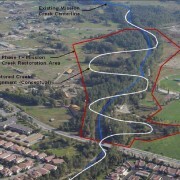 The straightening or channelisation of Mission Creek was an innocent but misguided effort to control flooding and provide more arable land, on what is a natural flood plain and marshland estuary that was once home to abundant fish & wildlife and a local cultural heritage dating back thousands of years. 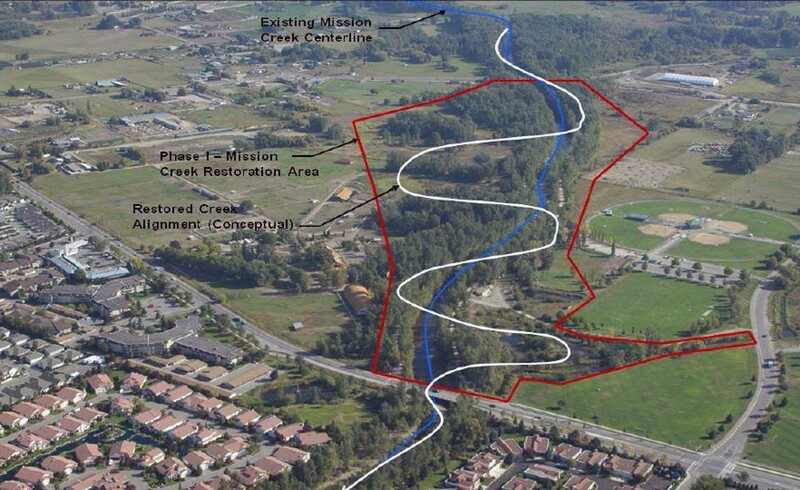 The current efforts to restore the natural balance on Mission Creek will not only mitigate flooding and increase fish stocks but will provide truly valuable ecosystem sustainable green space for all. These efforts are not only admirable but are our duty as stewards of this wonderful natural playground called the Okanagan, and as mothers, fathers, aunts, uncles and grandparents of the next generation of Canadians. We applaud these efforts loudly and are hopeful that in time, increased respect for our local rivers and wetlands, fish stocks and wildlife, along with enhanced efforts to restore and protect them as a resource will provide valuable long term, sustainable contributions to local tourism and our economy. Imagine a truly healthy Mission Creek Greenway, a thriving Okanagan Lake sport fishery and increased cultural & historical tourism, combined with the current recreational and tourism opportunities that include golf, wineries, boating, snowsports, wakesports, mountain biking, hunting, hiking, birding and evolving eco tourism all amidst the vibrant, productive, innovative and environmentally conscious City of Kelowna! Now that would be something to be proud of and a great example of a truly modern Canadian Eden.